MOMAS Electric Scooter began when Willy Suwandy, founder of e-Joe Bike, decided to translate his passion for creating innovative, affordable, and attractive electric transportation into an electric scooter to address the “last mile” that many people struggled with going to and from public transportation stations for busses, trains and boats. With a tide of support from a Kickstarter campaign, MOMAS released its first electric scooter in 2016. 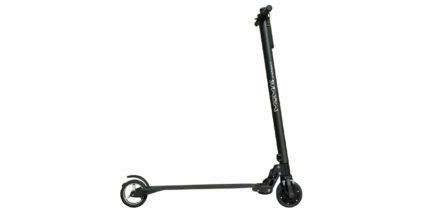 The MOMAS E-Scooter 1.0 is engineered with speed, efficiency, and comfort in mind. 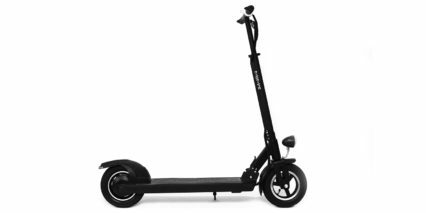 Unique features like its patented folding handlebars, magnesium alloy frame, and powerful 350W motor, allow MOMAS to strike a balance between lightweight portability, power and durability. Whether you use it for an eco-friendly commuting vehicle, or just for cruising along the beach or in the city, MOMAS Electric Scooter ultimately aims to provide a sense of fun and freedom to any rider.